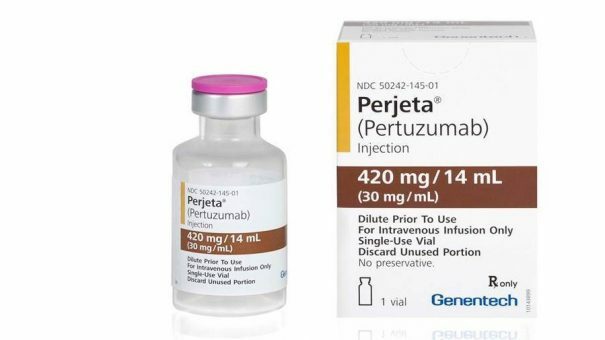 Today sees patients gain full NHS access to breast cancer drug Perjeta, a full six years on from its initial review by NICE. The increasing power of NHS England to negotiate deals direct with the pharmaceutical industry is helping to unlock UK market access for many new drugs – but just how far will it take this new role? NHS England has taken on several important functions from the Department of Health in the last year, and has created a new Commercial Medicines Unit to engage directly with industry. This role is helping it to overcome some of the limitations of NICE and the PPRS pricing system – but industry and patient charities will be wary of creating just the latest version of a fragmented, two-speed market access system for new drugs. Thanks to this intervention, today sees NICE give final approval to Roche’s breast cancer treatment Perjeta, a drug which the cost effectiveness watchdog first began reviewing in 2012. Roche is one of a handful of companies which has benefitted from the negotiations – but the growing power of NHS England raises questions about the future make-up of pricing and market access. The UK-wide PPRS pricing scheme is to be renegotiated by December this year – and whether it could be adapted to include pay-for-performance agreements is an open question. This week also saw NHS England hail the success of the new Cancer Drugs Fund, which became a ‘managed access fund’ in July 2016. The saga around access to Perjeta has been one of the longest running in NICE’s history. It first provisionally rejected the breast cancer treatment for routine commissioning on the NHS in 2013, but final guidance was never published because of disagreements with Roche about its health economic appraisal. The drug did gain market access in England for over four years via the Cancer Drugs Fund (CDF), becoming established as the standard of care for patients with this type of breast cancer, benefitting around 1,300 patients each year. But when the CDF was reformed in 2016 to become a managed entry fund, NICE began to appraise (or reappraise) all the ‘legacy’ drugs on the old CDF list. Previously, companies would propose a price to which NICE would say ‘yes’ or ‘no’ to the drug being made available – but NHS England’s new role means it now has direct involvement with industry, working closely with NICE to arrive at pricing and access deals that work for taxpayers, pharma, and patients. The Perjeta breakthrough is undoubtedly based on a significant discount from Roche – but the terms of the deal remain strictly confidential. Baroness Delyth Morgan, chief executive at Breast Cancer Now, said: “This is the best news patients with HER2-positive breast cancer and their doctors could have hoped for. Perjeta is a truly life-changing drug and we are absolutely delighted and relieved that NICE has finally been able to recommend it for routine NHS use in England. Nevertheless, Baroness Morgan said there remains major uncertainty around NICE’s appraisal methodology and its ability to cope with modern combination treatments, a phenomenon most often seen in cancer. Breast Cancer Now also highlighted the problem of inequality of access across the UK, with patients in Scotland not currently having the same access as those in England and Wales. While companies like Roche are pleased to be able to cut deals with NHS England, not all companies have been able to arrive at such agreements. Another mechanism is the CDF managed access fund, which has seen a rapid increase in the number of drugs entering it in the last few months – including another Roche drug, Tecentriq. 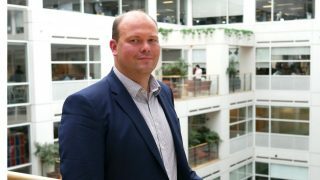 John Stewart, Director of Specialised Commissioning at NHS England, said: “Thousands of cancer patients are benefitting from earlier access to innovative treatments through the new Cancer Drugs Fund. Of course one of the biggest problems with the CDF is that it only serves cancer patients, unfairly providing a mechanism for oncology drugs, and not in other therapy areas. NHS England’s new powers mean it doesn’t have to limit itself to cancer treatments. It says its “inclusive approach to commercial deals” has allowed it to strike deals with any company willing to negotiate. So far this has extended to three treatments: Alexion and its Strensiq for a rare bone disease, plus Roche’s Kadcyla and Perjeta, both for breast cancer. In November, NHS England’s chief executive Simon Stevens announced a ‘precedent setting’ new outcomes-based deal with Merck on its multiple sclerosis drug Mavenclad. Outcomes-based deals are another area where NHS England is keen to move to, given the right drug, right metrics and right price. Stevens said he would like to see more of these ‘flexible and creative’ deals, but equally believed that a national PPRS-like system was needed to provide a framework. What is clear is that NHS England will continue to develop its control of market access, and develop its expertise in more complex reimbursement approaches. It also recently took on responsibility for overseeing Patient Access Schemes (PAS) from the Department of Health, helping it become a single ‘one-stop shop’ for these deals. There is a flipside, of course: this greater oversight will allow NHS England to exert more downward pressure on specialist drug prices, as seen in yesterday’s news that it will seek further discounts from Hepatitis C drugs. The main driving force for these changes is, of course, the squeeze on NHS funding, with pleas for billions more in funding from the health service being ignored by the Prime Minister and the Chancellor. This straitened financial situation will also be the dominant theme when PPRS negotiations begin. 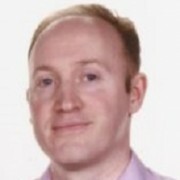 UK pharma organisation the ABPI will have to choose between the ‘devil it knows’ of the existing model versus a gamble on a more innovative approach which may yield greater rewards, as well as greater risks, for its members.